Eternal Sunshine of the Spotless Mind was a hard addition to my top 100 list, but only because of how difficult a watch it is. 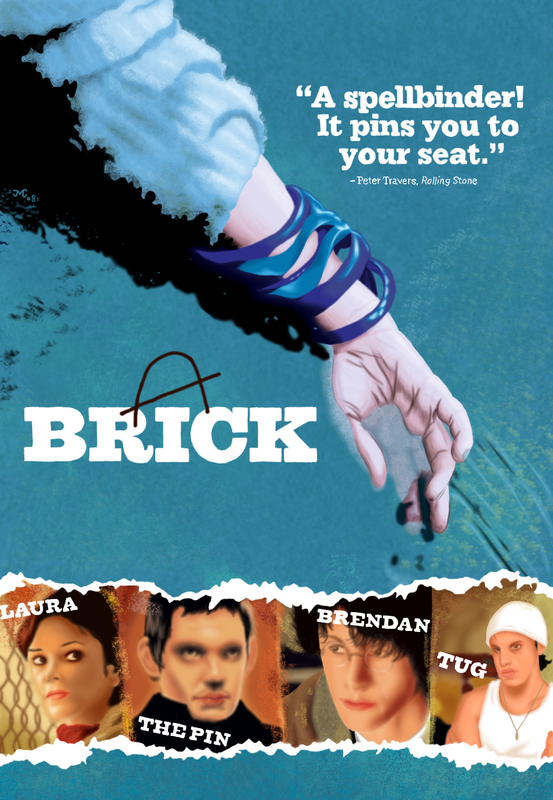 Michel Gondry’s visionary 2004 film is the ultimate story of lost love, regret, and the power that memories hold. Eternal Sunshine is about a man named Joel Barish (Jim Carrey) who is looking to have an experimental memory loss procedure in order to forget about his ex-girlfriend Clementine (Kate Winslet). The couple had disintegrated over time due to their polar opposite personalities, Joel is shy and soft spoken, and Clementine is free-spirited and impulsive. The crew performing the procedure do so from Joel’s bedroom, where they drink, listen to music, and smoke pot on the job as Joel lays sleeping. The film largely takes place inside the mind of Joel, where he begins to regret having the memory wipe procedure, and attempts to save his memories of Clementine. It would be unjust to go too in-depth about the film’s plot, as it really is something viewers should see for themselves. The story is told with a heavy reliance on interesting visuals that cannot be fully explained in words – the memories of Joel Barish know no bounds. The real star of Eternal Sunshine of the Spotless Mind comes in the form of writer Charlie Kaufman’s script, which brings a whole host of surrealist ideas, as well as heavy themes of love, loss, and longing, and loneliness. While Kaufman is most famous for writing some of the most bizarrely funny screenplays of the late 90’s and 2000’s (Being John Malkovich, Adaptation., Synecdoche, New York) , Eternal Sunshine of the Spotless Mind seems more focused on telling an intelligent, unique, heartfelt story that most anybody can relate with on some level. Charlie Kaufman’s incredible script combined with Michel Gondry’s visionary direction results in a wholly unique sensory experience – the two artists work together seamlessly, creating one of the best films of the 2000’s. Eternal Sunshine is full of heart wrenching moments, including the opening 15 minutes of the film, which mostly sees our two main characters meeting on a train, setting up the events to come. While we certainly get our fair share of grounded moments, some of the film’s more special moments come in its absurd and bizarre sequences – an example being our two main characters hiding Joel’s childhood memories. The supporting cast of Mark Ruffalo and Kirsten Dunst help to further the absurd nature of the film, breaking every workplace rule without even a hint of guilt or regret. On top of Eternal Sunshine’s terrific screenplay and groundbreaking direction, the main performances by Jim Carrey and Kate Winslet are perfect in every way – both actors completely embody their characters, becoming lost in them for 108 minutes. Jim Carrey is playing against type for his portrayal of Joel – instead of his typically zany, bombastic performance, he’s forced to play a much more meek and subtle character. Kate Winslet’s Clementine is a joy to watch, despite how frustrating the character can sometimes be – she’s impulsive, aggressive, and maybe a little bit manic, but somehow always manages to be funny and sweet when it counts. Eternal Sunshine of the Spotless Mind is a difficult film to be sure, but it’s also one of the very best of the 2000’s – it’s worth every minute of familiar pain. As you read this blog, you’ll probably notice that I love making lists, especially lists about films. In fact, sometimes I get so carried away with them that I enjoy making the lists more than I enjoy watching the actual films! If you have any suggestions for top 5 or top 10 or top 100 or top 1,000,000 lists, feel free to comment and recommend some topics! Why is it a blindspot? : This Academy Award nominee for Best Original Screenplay welcomed a new name in director Alfonso Cuaron, who would later go on to direct Harry Potter and the Prisoner of Azkaban, Children of Men, and the upcoming Gravity. It is almost universally beloved, with many people calling it the greatest (and sexiest) road trip film of all-time. Why is it a blindspot? : Praised by critics for being its gritty portrayal prison conditions, as well as being one of the most moving and claustrophobic films of that year. Not only did it mark the directorial debut of British director Steve McQueen, but also introduced Michael Fassbender to a wide audience. I think the reason I haven’t yet seen it is because McQueen’s 2011 follow-up Shame was so emotionally draining that I’m afraid of going through that again with this film. Why is it a blindspot? 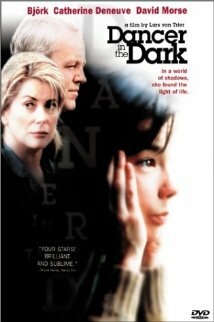 : Bjork’s performance in von Trier’s Dancer in the Dark is praised as being one of the greatest performances of the year, winning the Cannes award for Best Actress, and being robbed of any nomination at all by the Academy. von Trier’s film is said to pack a gut-punch even harder than Requiem for a Dream, which like Hunger, is probably one of the main reasons I haven’t braved this film yet. Lars von Trier’s Breaking the Waves was an incredible viewing experience, and I can’t wait to see this and compare the two films. Why is it a blindspot? : V for Vendetta seems to be a very divisive film among movie-goers, but one thing is for certain here: Those who love it /really/ love it. It’s one of the internets favorite films of the 2000’s, and the reaction you get from telling somebody that you haven’t yet seen it is like telling somebody that you can’t stand looking at kittens. 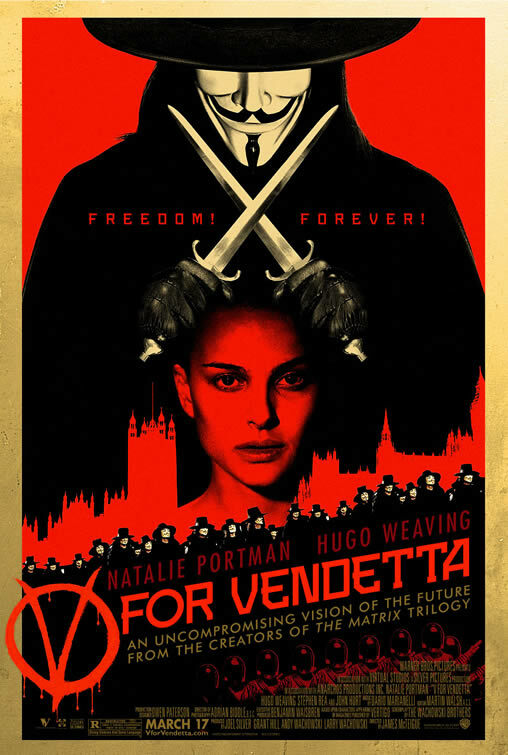 V for Vendetta is definitely more of a hit with audiences than critics, but that certainly isn’t the reason I haven’t seen it yet. I think that at the moment I’m more interested in reading the graphic novel beforehand. Why is it a blindspot? : Ang Lee’s masterfully directed kung-fu epic garnered /ten/ Academy Awards nominations, including ones for Best Picture, Best Director, and Best Writing. It won four of those ten awards, and was almost universally acclaimed among audiences and critics, specifically Ang Lee’s direction and the performance of Michelle Yeoh. This is one I’ve been meaning to catch up with for years now. Why is it a blindspot? : Rian Johnson’s feature-length debut was celebrated by critics for being a great send-up of the film noir genre, and a perfectly executed high school film. Johnson would go on to direct The Brothers Bloom, which had its moments, and 2012’s acclaimed sci-fi film Looper. Why is it a blindspot? : Christopher Nolan’s sophomore effort used incredibly original story-telling and editing methods, again playing with the tropes and themes of a film noir. It was nominated for Best Writing and Best Editing at the Academy Awards, and is beloved by any Nolan fan, often regarded as his best film to date. 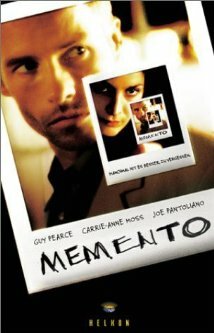 I think my lukewarm reaction to Nolan’s Inception (despite loving his previous films) kind of turned me off from Memento for a little while. Why is it a blindspot? 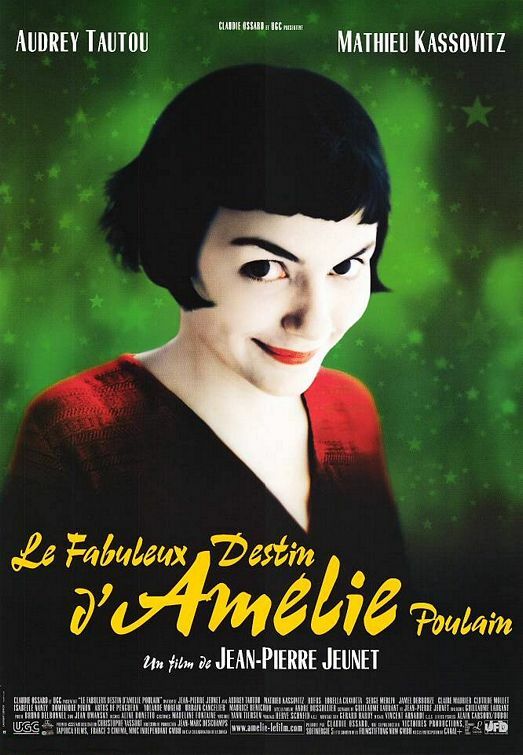 : Amelie is perhaps the most well-known film of Jean-Pierre Jeunet’s (Delicatessen, City of Lost Children) career, featuring a celebrated performance by Audrey Tautou, and expert direction by Jeunet. It’s celebrated for being a charming, original, and just generally feel-good film, and was nominated for five Academy Awards, including Best Writing, Best Foreign Film, and Best Cinematography. I’ve seen part of this, but lost interest mid-way through for reasons that had nothing to do with the actual film. Why is it a blindspot? 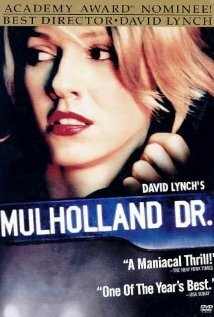 : David Lynch’s Mulholland Drive is perhaps his most loved and most successful film to date, being nominated for Best Director at the Oscars, and winning the same prize at the Cannes film festival. Naomi Watts’ performance is said to be incredible, and the film a very atmospheric and confusing ride. It placed rather high on the recent Sight & Sound list, being one of the only inclusions from the past decade to make the list. That alone makes it a must-see film. Why is it a blindspot? 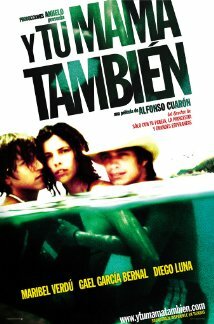 : Yeah, I really have no excuse for never having seen this film. It’s one that has always eluded me for one reason or another. Eternal Sunshine won Best Original Screenplay at the Academy Awards for Charlie Kaufman‘s incredible script, and Kate Winslet was nominated for Best Actress for the film! On most lists I’ve seen around the internet, Eternal Sunshine is more often than not the #1 film of the list. Luckily, I recently picked it up on blu-ray and plan on watching it very soon!